Travel agents, cruise companies, airlines and tour operators can seriously benefit from this awesome, yet often overlooked promotional product. Customised luggage straps with your logo, website, message or even emergency contact information can promote your business. A persons holiday or business trip will end, and the only thing they will bring home from their time away is your custom branded luggage strap. Who do you think they will call for their next trip? your business of course! Perfect for air travel or cruising. Same branding options as our lanyard range. Can be dyed to any colour. Print your logo up to 4 colours or full dye sub. When it comes to promotion and marketing, business like travel agents, cruise lines, air transfers and tour companies can come up with some really creative ideas. There is no doubt that digital marketing has become the top most concern for modern businesses. However, this has not had any impact on the effectiveness of material marketing and promotion. The biggest problem with digital and internet marketing is that it’s not tangible. People forget (and even like to forget) things quickly, especially in the fast paced world of today. No matter how strong you are with your marketing, people will still forget you. The only way to become a part of their memory is by backing up your digital marketing with material marketing. Your digital marketing creates an impact on their minds. Your promotional material goes with the customer and keeps that impact alive. The end result is that customers feel like coming back to you. Promotional luggage strap is yet another promotional item that looks simple but has an amazing marketing impact. Promotional luggage straps are considered executive products as they are used more commonly by executives. Anyone who travels a lot can become a means of marketing for your brand with something as simple and useful as a promotional luggage strap. It’s not one of those souvenirs that rest on a table or a on a shelf in the corner of a room. This is a useful product that travels with the travelers and hence serves its purpose really well. With promotional luggage straps you have many different ways to use them for your advantage. First, they are best for companies where the employees have to travel a lot. Just give them to your employees so they can travel with a statement. Furthermore, they can be given as souvenirs to your customers at workshops and promotional stalls. If you are promoting your business or a particular line of product close to a station, airport or a seaport, these luggage straps will be the best items to distribute as souvenirs among your customers. If you are a touring agency or in a business similar to this, there is nothing better than these straps for your promotion. Every customer who signs up for your services could be given a few of these straps. Not only will these customers feel obliged but they will develop some loyalty for your business too. Hotels and other accommodation businesses can also make great use of luggage straps for promotional purposes. Also, consider an occasion where you are planning to take your employees for a trip or maybe a team building activity at some mountainous location. You can imagine how professional and visually appealing your employees will look with all of their bags having your branded luggage straps on them. You could also start distributing these straps when the vacations are about to come and you know your employees will be leaving the city or state for a few days. Hand them over these straps and turn your employees into your marketing agents even when they are not working.You can even use them to strengthen your B2B relations. If you have relations with small businesses that are not yet interested in pursuing a brand identity, you can offer them the straps and build a relation of trust. Why Lanyards Factory for Your Luggage Straps? It is really easy to understand why you would want to choose an established business for your promotional items. Keep in mind that these items are there for promotion, but they can also become a source of defamation for a business if they are not properly made. You don’t want your promotional luggage straps to break into pieces with a small amount of tension. You want them to be made of the highest quality materials. 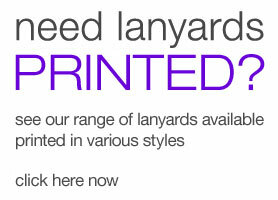 That’s where Lanyards Factory comes into the picture. 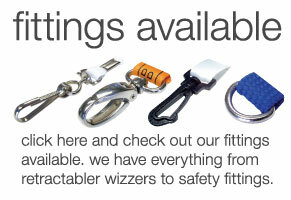 We are proud to offer some of the highest quality promotional items to our customers. 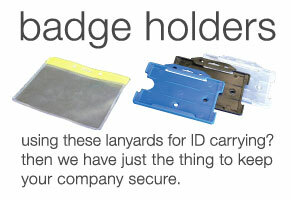 We don’t deal in promotional luggage straps only but many other promotional and ID card solutions. We use only the premium nylon in making our straps so you can give them to your employees, business partners and customers with full confidence. We have them available in dozens of colours so you can always find one that reflects the colours of your brand. With ample width to these straps, we can easily print your logo and artwork on them. You can request some other information to be printed on the straps too because these straps are wide enough to carry a lot of printing on them. We also understand that it is not just about the quality of the strap but the quality of the printing too. Our prints are crystal clear and vivid even from a distance. We can also work on your artwork from the scratch.